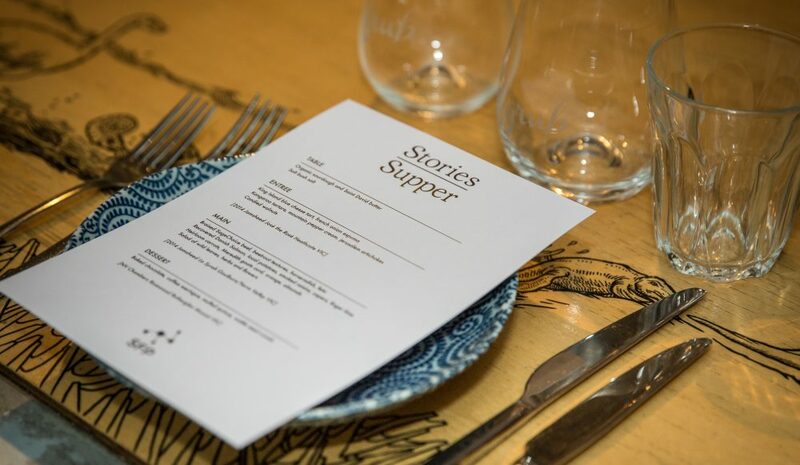 After the success of the inaugural dinner back in June, The Social Food Project will return to Fitzroy’s favourite greenhouse and dining room, Grub Food Van, to host Stories Over Supper: Spring Edition on Monday 19 September. Stories over Supper is a truly unique and interactive dining experience in which guests hear stories from individuals and organisations that are working for change in the community. Jessica Christiansen-Franks, CEO of Co-Design Studios will be the speaker at the spring event. Founder of The Social Project (and Grub’s resident sustainability expert) Ben McMenamin will prepare a delicious three-course share-style meal with a strong focus on the very best local spring produce, underscoring the importance of knowing where our food comes from. “Sharing food has an incredible effect on people. They feel more comfortable to share their stories and connect with each other through similar food experiences,” says Ben. The menu will feature surplus produce supplied by Yume Wholesale, the revolutionary new marketplace that helps organisations with quality surplus produce connect with businesses that can use it. Tim O’Donnell of PDR will provide wine service. The guest speaker for the evening is Jessica Christiansen-Franks, CEO of Co-Design Studios. Jessica is an urban designer and landscape architect who has spent the past decade looking into the social impact of urbanisation and regeneration projects across Australia, Canada, UK and Asia. Her work with Co-Design aims to create great places that build social connection and inclusion. The cost of the event is $85 per head and includes a three-course dinner with matching drinks (non-alcoholic drinks available). 10% of the ticket price will be donated to the AFSA Legal Defence Fund to help support local farmers improve food systems in Australia.